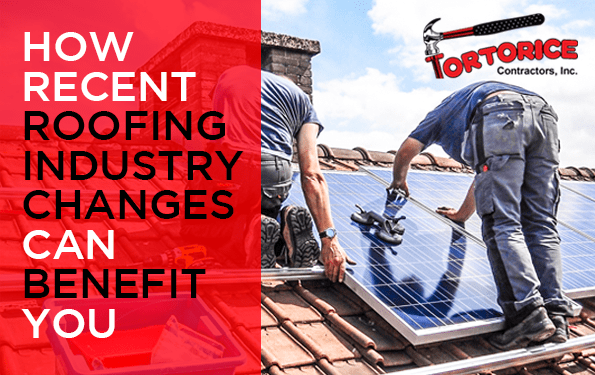 Gloucester Township Roofing Contractor Shares Tips on How Customers Are Benefiting from Recent Industry Changes - Tortorice Contractors Inc.
With the introduction of modern technology, various industries have been forced to adapt and change how they do things. If you’re looking for a Gloucester Township roofing contractor, you will find that it has become much easier to find one thanks to modern technology. In the recent past, the process of looking for a roofing professional was tiresome, as one had to research extensively and ask around to find the right talent. With modern industry changes continuing to take shape, more customers are beginning to see the benefits of a transformed industry sector, which has substantially improved its level of service delivery. The monopoly that a few roofing contractors enjoyed in the past is no longer there. Today, a greater emphasis has been placed on professionalism and service delivery. In addition, there are numerous options for property owners to choose from, especially when it comes to roofing designs. According to recent studies, customers seeking roofing services agree that the quality of service has greatly improved. So, what are some of the driving forces behind this paradigm shift in the roofing industry? One of the biggest factors that has heavily influenced the roofing industry around the globe is the introduction of new technology into the industry. Technology is a key component of the roofing industry, and positive developments have paved the way for the modern trends in roofing, as well as the production of high-quality materials. Modern roofing technologies have been introduced to the market and greatly enhanced both quality and safety standards. Nowadays, most, if not all, Gloucester Township roofing contractor professionals have fully embraced new technology. In addition, modern roofing products are designed to incorporate a wide array of cutting-edge technologies. At the end of the value chain, the people who benefit the most from these developments are the property owners who now get a chance to enjoy full value for their money. In addition, new technology has played a key role in lowering the cost of roofing, as many wallet-friendly, but quality roofs have been introduced onto the market. This means that if you are looking for a good roof within your budget, chances are high that you will have numerous options to pick from. Long gone are the days when you had a choice of only a few roofing professionals who were well-trained. As time has gone by, major changes, especially regarding the training of more professionals, have been witnessed across the board. For instance, these days, there are numerous well-trained Gloucester Township roofing contractor experts with top-notch modern skills to handle different kinds of projects. In recent times, industry regulators have also introduced strict vetting measures to ensure that only well-trained experts are licensed to become roofing contractors. Considering the sensitivity of the industry, professionals now undergo intense training that deeply focuses on maintaining quality and upholding safety standards. Training courses for roofing professionals are closely monitored and regularly revised to ensure that trainees are equipped with the best industry practices and work ethic. With this emphasis on top-notch training programs, the quality of skilled manpower has improved significantly. Just like in any other industry, the roofing industry has experienced intense competition, especially as more players continue to join the market. The rise of technology and skilled manpower has immensely contributed to ensuring a level playing field, thus increasing competition. As a result, customers can contact a wide range of roofing contractors in Gloucester Township and be assured of getting quality services. The demand for roofing has gone up because of the increased number of new developments that require well-trained roofing contractors to execute various projects. The growth of the building industry has seen the roofing sector benefit a great deal because of the availability of numerous opportunities waiting to be explored. Every year, the roofing industry is adding new professionals venturing into the career after having undergone intensive training. Healthy competition is good because it has helped stakeholders to concentrate on offering good services to their clients in order to ensure that their businesses succeed. Thanks to these developments, you no longer have to be restricted to a few service providers. There is now a wide pool of Gloucester Township roofing contractor experts that you can choose for your project. It is now evident that property owners can enjoy quality services. Above are some of the key factors that have been instrumental in helping the roofing industry to rise to new levels of professionalism and quality service delivery. There is no doubt that, as time continues to go by, the industry will continue to develop and improve.